The recent meeting of the Egyptian-Saudi Business Council represents a milestone in the Egyptian-Saudi relations especially in this important stage. The recent meeting of the Egyptian-Saudi Business Council represents a milestone in the Egyptian-Saudi relations especially in this important stage not only in the history of Egypt but also in the history of the region at large. For the first time, the Council has reached an agreement establishing a bank in Egypt to support small businesses and protect Saudi investments; this is in addition to the establishment of joint offices to provide services to businessmen of the two countries. The Council also discussed the possibility of building a bridge between Egypt and Saudi Arabia to ease up the movement of trade and help establish a joint market. 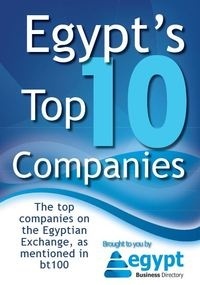 It is known that Saudi Arabia is one of the biggest partners to Egypt among the Arab countries where more than 2, 355 Saudi companies are operating in Egypt. Moreover, the Saudi investments in Egypt hit USD 10bn while trade exchange exceeds USD 4bn. The Egyptian-Saudi Business Council has managed to set a mechanism to follow the status of Saudi investments in Egypt, maintain its continuation and work on removing all the trade obstacles between the two countries, a matter that represents the beginning of a new stage in Egyptian-Saudi economic relations.